What you do when you look like a fatty? Usually, we people start searching for different ways to reduce fat by doing exercise, eating fat-free foods and what not. We start avoiding foods which contain fats like oil, butter, some dairy products etc. Fat reduction is the process of removing unwanted fats. 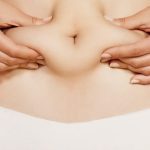 Nonsurgical and surgical are the ways to remove these fats. In nonsurgical, now two types of devices used one is an ultrasound and another is using cold energy. Actually, Fat is the storage of energy in the body. The wrong fat or too much fat can be unhealthy for our self. Typically the number of cells in our body becomes a fixed. Generally losing or gaining weight does not increase or decrease the number of fat cells. Instead, it changes the sizes of fat cells. So Fat Reduction is Process of reducing extra fats of Body.